Friends drawing inspiration from their rich musical heritage, and coupled with their beloved SexOnWax and Deeper Substance music labels, SOS was born of a desire to create synergy. With a common goal to move people, the innovative pair exist in an exciting digital era where live remixing, personal edits and inimitable shows all allow for differentiation. Their sonic mélange of sultry house, dark but emotive electronica and tech-tinged beats has earned them a reputation for putting on an unmissable show– and this is where the dazzling SOS trailblazers shine with their icy-hot approach to DJing in the 21st century! The SOS Collective in its true format is Omid ‘16B’ Nourizadeh and Demi Hajigeorgiou who started their journey with a series of legendary London boat parties (originally as a trio with Desyn Masiello), Ibiza showcases and Miami WMC appearances which have become the stuff of legend with SOS events being a must on all party itineraries. Omid is an artist who isn’t just a dj/producer but also a songwriter and musician who plays a range of musical instruments from an early age and has spent most of his life involved in music. Head of the SexOnWax, Disclosure and Alola labels, he is seen as a key tastemaker throughout the electronic scene signing a collection of artists throughout whilst leading the A+R. As a producer, Omid has released a succession of acclaimed artists albums such as “Sounds From Another Room” and “How To Live 100 Years” as well as compilations for Yoshi-Toshi. He has remixed artists including The Cure, Gus Gus, Deep Dish, Danny Howells, Morel, François Kevorkian and Pete Moss just to name a few. In collaboration with DJmag, Omid took the lead in starting the CD cover mount series called ‘Face Off’ with Mr.C as his partner. Omid spent the next 2 years in the making of his third artists album “Like 3 Ears and 1 Eye” whilst also touring as SOS. Being the cover star for DJmag November issue 2007. Omid shocked the dance community by also including his new artist album ‘Like 3 Ears & 1 Eye (part 1)’ as a cover mount CD and allowing a synchronized release with the rest of the world. A heralded move given today's current digital climate which saw Omid also releasing the second part of ‘Like 3 Ears and 1 Eye’ on SexOnWax Recordings through all digital outlets shortly after in January 2008. As a DJ, Omid has created a certain style and unique expression that constantly inspires ones who watch, like a Persian prince leading the crown into his hands, nothing short of a true showman. Demi is the man behind the infamous Deeper Substance parties which exposed his savvy work as a promoter; bringing talent from across the globe to some of London's intimate underground venues. The renowned Rhythm Factory venue was the location for the final show and saw Demi and his team feature Groove Armada with a surprise cameo appearance by Gramma'Funk (lead vocals on some of their biggest worldwide hits to date). The epic finale in 2004, was a fitting way to conclude this early chapter in this young man's career. Full of life and soul and in the eternal search of music heard & unheard of, this contagiously exuberant character continues to make an extraordinary impression on dancefloors the world over. His diversity and improvised style of DJ'ing in his performance is both consistent and memorable. This kindred spirit dictates his sets with the ease of someone who was born to perform and his much publicized spell-binding performances with Danny Tenaglia in NYC, Miami and London, certain key gigs touring with Pete Tong and performing with Laurent Garnier at Pacha, Ibiza, coupled with his beloved Deeper Substance residencies he held in London and in Toronto at Boa (2004-5) earnt Demi two separate nominations for `Best Newcomer` and `Breakthrough DJ` at the 2004-5 DJ Pacha Awards and UK House Music Awards. 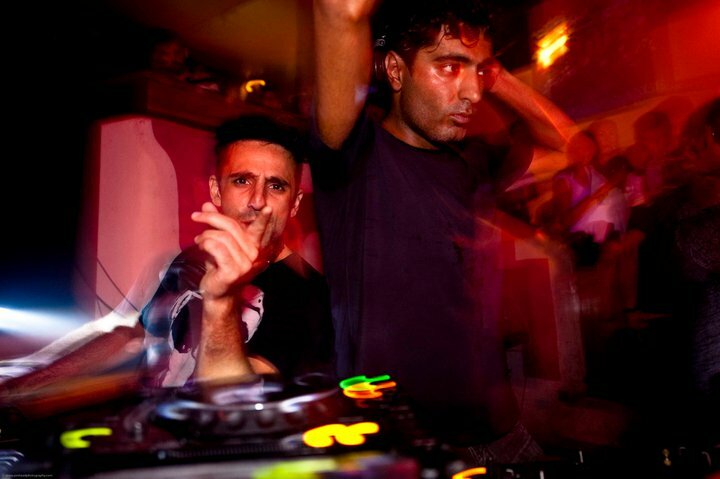 The birth of Deeper Substance Records was to follow in 2005, and the first two releases ‘Gearbox’ and ‘D-Drive’ were an insight into his early workings as a producer. D-Drive was to be picked up by a host of DJ's and featured on several of the more mainstream mix compilations on the market. The track was also heavily supported by Pete Tong who featured it on an Essential Mix live broadcast and subsequent shows on the Essential Selection. Demi was asked to contribute to a David Bowie remix project with LA based producer Trifactor . Their take of ‘Let’s Dance’ was featured on a specially commissioned release of Bowie remixes. Several other remix projects followed, including a collaboration with Peter Kriek from 16 Bit Lolitas for the club hit ‘Supernova’ by Mashtronic on SexOnWax, Kris Menace’s massive ‘Discopolis’ for Defected, and Leg Soup’s ‘Wonderland’ on Art & Craft. He furthermore demonstrated a natural versatility to his sound with a remix for Plastic Operator for the ever-eclectic Sunday Best label. Demi has since formed another vital part of the A+R team for Sexonwax Recordings. Who knows what the future holds for the trio after this album is launched at Ministry, but you can always bet your last beat on one ethereal trip! Urban Breathe 'Above The Heavens (w/ Satoshi Fumi & Bart Van Wissen mixes)' OUT NOW! All times are GMT -4. The time now is 01:46:55 PM.